NYMail provides the best and most reliable service to international customers. Available options: mail forwarding, mail scanning, and mail pick-up. All commercial mail-receiving services are not the same; they vary with regard to reputation and reliability. 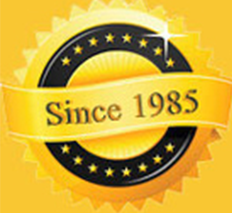 Established in 1985 we have served thousands of satisfied customers locally, nationally and internationally. We pride ourselves in exceeding our customers’ expectations. Our objective has always been to offer the best service at the most competitive price. When you sign-up with us you will notice the difference. Once you complete a short and straightforward application, we will assign you your exclusive Suite number where you can receive mail from all major carriers. If you are an international customer, you can use our service to establish a presence in New York City on Fifth Avenue. We have flexible international mail forwarding options to accommodate your needs. With your Fifth Avenue address, you can incorporate your business, open bank accounts and lines of credit, and gain instant credibility. Customers are welcome to walk-in and pick up their mail and packages. We do not charge set-up fees or require a long-term contract. We offer Personal, Business, and Corporate plans. Sign up and get your Fifth Avenue Virtual Address today!